Second Amendment activists and fringe right-wing activists sometimes use the argument that the Founders gave citizens the right to bear arms as a sort of failsafe for our democratic institutions—if our government became so despotic, the people would need to correct things with a little help from their constitutional right to own guns. Never mind the Constitution itself specifically gives militias the task of putting down such insurrections (see Article 1, Section 8), these fringe voices seek out secondary and tertiary sources to prove the Founders figured a little firepower would keep things in check. The primary source suggests otherwise. 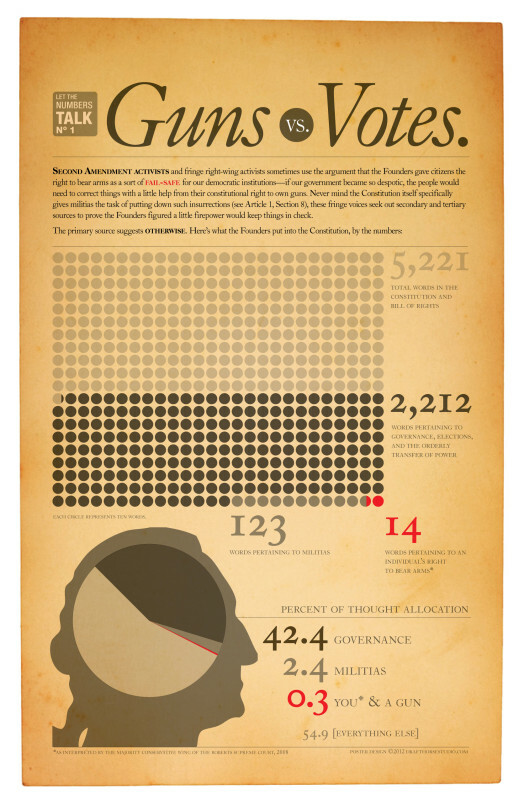 Here’s what the Founders put into the Constitution, by the numbers.